Welcome to LVCNR, Nucleya . Hope you would enjoy your best here. 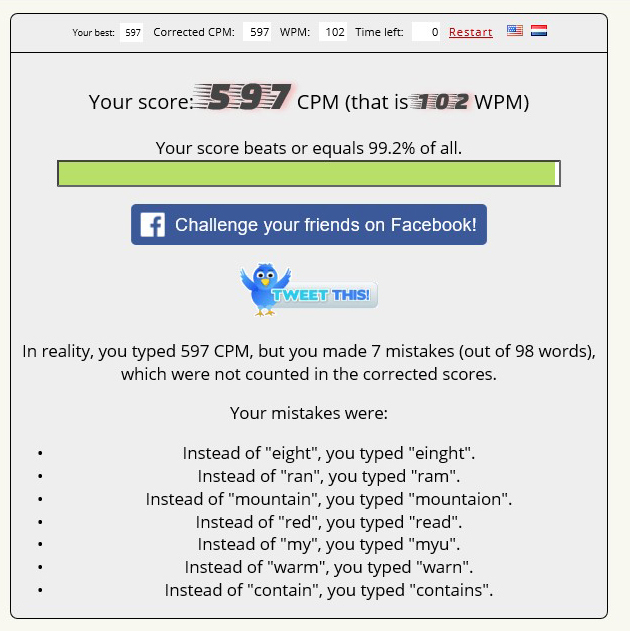 Topic: WPM Test! Can you beat me? Re: WPM Test! Can you beat me? If The Image Doesn't Turn Up!, The Link Is below. Its Giftson Ryt here. Im Glad To Give An Intro on Meh. Just an old LVCnR player. And proud and happy that I've got a wonderful community to mingle with! And Will Be Glad To Have New Friends Ryt Here.